Custom designed: our websites provide a marketing launch pad for small, medium and enterprise businesses, and are SEO optimised giving you great search visibility. 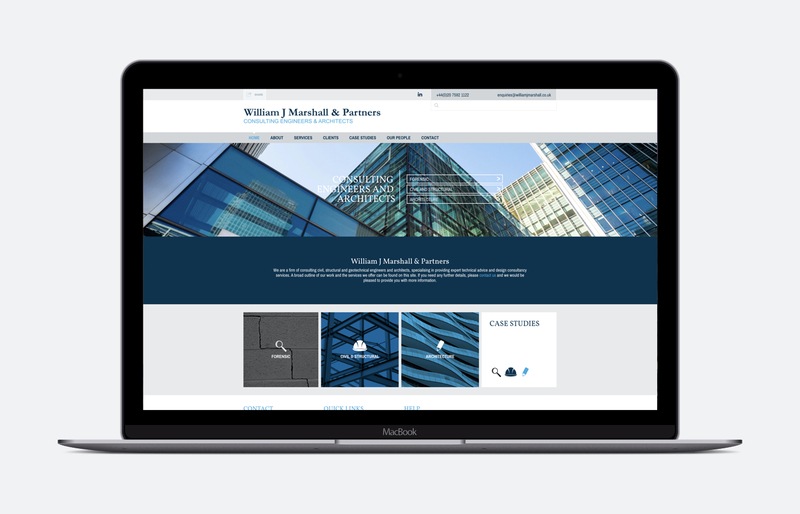 From e-commerce to portfolio galleries, we design and build websites for many small and large businesses across the UK. Hand crafted, our sites provide the ultimate in user experience, compatibility and sales conversions. A website is your digital store front, welcoming visitors and selling your services online. Online 24/7, a well designed and developed website is crucial in a world of stiff competition. Protecting your brand and maximising your opportunities is essential for your business to succeed. We equip businesses with the latest in website designs. Our commitment to quality ensures everything we produce delivers clear results. Our on-page SEO maximises your search visibility whilst our fully managed hosting provides you with security and uptime. We start each website by asking you: “what do you want to achieve after launch“. We start at the end and work our way forward, piecing together each aspect of your website from design to functionality. We design websites in-house, but also have a suite of graphic designers that we partner with who can offer very different and very compelling visuals for all purposes. Our designs are as varied as our clients: offering a graphic language to suit retail to solicitors, manufacturing to entertainment sectors. We specialise in designing and building all our sites so that they are responsive and work across many different screen sizes. From wide screen desktops to small mobile phones, our websites scale and adjust their content by laying out the page to suit the available space. This saves you from having a separate mobile-only website and makes managing it far quicker and easier. Each site we launch is configured for on-page Search Engine Optimisation. We ensure our websites are well structured and written; conform to W3C validation and provide micro and Aria data to help browsers and Google index your site. As an additional service, we also offer Keyword research, on-going SEO, and content creation: all aimed and improving your SEO ranking over time. We make managing your content easy, quick and simple. We use open source content management systems as standard: meaning after launch, you are not locked down with us and have complete freedom over your website. Our selected CMS’s (which also include WordPress) are easy to use and allow you to edit most parts of your website. Upon launch, we also provide CMS training, equipping you with all the skills needed to edit your website in the future. Work with us and you could be selling online within days. We provide a range of ecommerce solutions ranging from WooCommerce, Shopify to Square Space. Empower your business with a simple to manage web-store that is easy to update, promote and ship products with. We offer a fully managed hosting solution, taking away the stress of managing your website. We offer 99% up time servers and can also provide regular back ups and security patches too. We pride ourselves on bespoke website creations that are unique and individual to your brand. If you want to know more, let us know your requirements and scope of your project; and we will provide a no obligation quote free of charge. We provide on-going website marketing services that empower your business as time goes on. Each month we can provide analytical user insight on how your site is being used. We’ll following this up with revised template layouts; revised web design; A/B split testing; copy writing and SEO improvements. Results driven, a retainer with us guaranties results. I have had the pleasure of working Hyper Pixel for several years now on my website. Upon our first ever meeting I can recall how impressed I was by their enthusiasm, plain-speaking and knowledge of current trends and best practise. Hyper Pixel offered more than development, he has provided supporting digital advice and have gone above and beyond what has been asked. We’ve launched a new iOS mobile app allowing you to get instant quotes with just a few taps. Select what type of website you require; number of pages; add features and services and then see how much we think this would cost. Free to download for iPhone from the Apple App Store here.